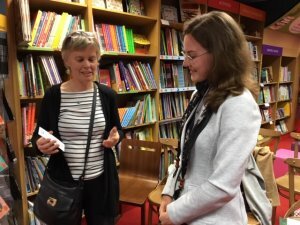 For April’s picture book club it was another first as we headed to Cambridge, home of author-illustrators Margarita Surnaite and Eva Eland. 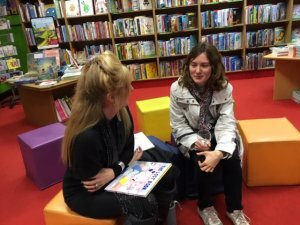 Of course, we met Eva for the first time when she made the trip to Reading Waterstones last month so it was great to make a return visit to her home town with the bonus of meeting her stablemate at Andersen Press, Margarita Surnaite. We were made very welcome in the Children’s Section of Heffers, a legendary Cambridge location for bibliophiles! 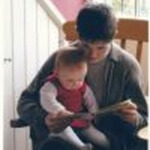 And, just like in Edinburgh earlier this year, it was great to meet some new faces and share the picture book love a bit further a field. We focused on Eva in last months write up so this time, it is Margarita’s turn in the spot light. 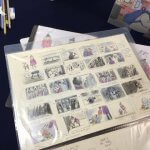 Like Eva, Margarita was spotted by Andersen after exhibiting her work at Bologna as part of her MA in Children’s Illustration at Cambridge. 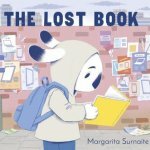 The result is her gorgeous debut The Lost Book which tells the story of a young rabbit who finds a book which quite literally takes him to another world on a transformative journey. It was fascinating to see Margarita’s sketch books and here how she plans her stories, image first and then text. These are things that you can only share face to face so it was an absolute privilege to be there in person. 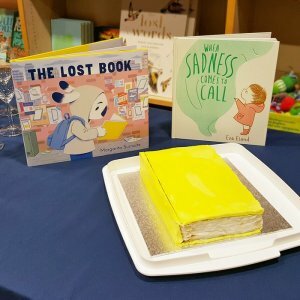 Of course, there was cake (lemon drizzle, if you’re interested) and lots of lively book chat afterwards. You can watch the Facebook live broadcast of the night here. Once again, we’re on the move for next months picture book club, heading to the big smoke with a trio of very special guests; author-illustrator Karl Newson, editor Penny Morris and agent Jodie Hodges. It’s going to be awesome so follow #picturebookclub on twitter or like our facebook page @picbookclub for details.